I have been hankering for Indian food so I asked Jeen if she was game for Indian on Friday night. 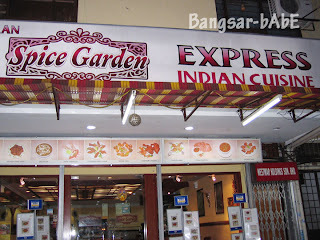 She was, to my delight so we decided to try Spice Garden in Lucky Garden, Bangsar. We ordered the set dinner for 2 (RM 27.90) which consisted of Paneer Tikka Masala, Matter Mushroom, Dal, Rice + Naan, two drinks and dessert of the day. Our waiter that night was awfully grumpy (as though we owed him a living). Our Mango Lassi was standard. The Paneer Tikka Masala (Panner = cottage cheese), although average had just the right level of spiciness for me ( I have a very high tolerance for spicy food). 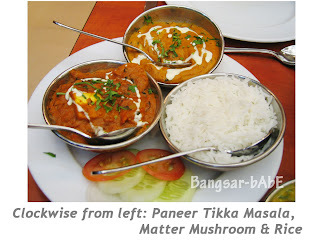 The Matter Mushroom was merely button mushroom with green peas in a dal-like gravy. Nothing to shout about. 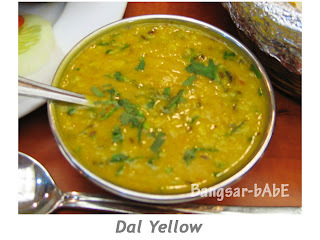 The dal was pretty good. Thick and well flavoured; topped with a generous amount of chopped coriander. It went very well with the naan. The naan was good. 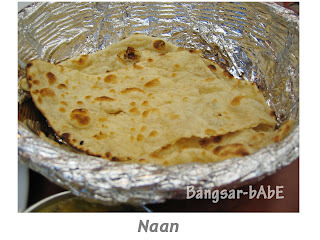 It was light and soft; unlike the hard, chewy naan from certain Indian restaurants. 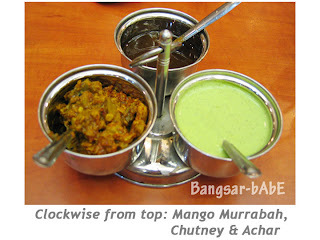 They served us some chutney, achar and mango murrabah (a sweet mango pickle). The mango pickle was quite delectable. The achar on the other hand was a complete disaster. It was way way too sour that it was unpalatable. The chutney was alright. 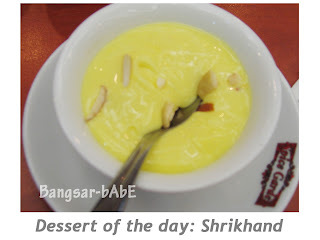 Our dessert was Shrikhand, some sort of almond mango yogurt. Tasted very much like the mango lassi but thicker and sourer with almond bits on top. I didn’t quite like this one. Overall, the service was poor (why are we paying 10% service charge?) and the grumpy waiter kept questioning (in a rather intruding manner) why I was photographing my food. We were the only ones in the restaurant until a family came in five minutes before we left. The food was mediocre and the ambiance was stressful since they were observing us like hawks. 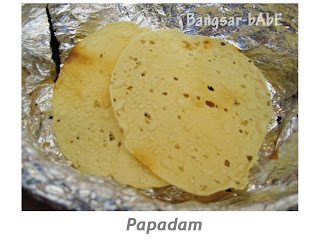 I should have just stuck to Anjappar since they serve better dishes overall. 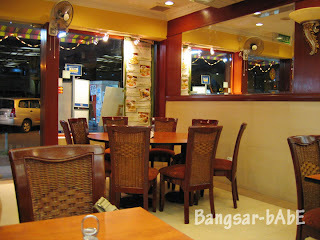 Portions were small and dinner cost us more than our regular meal in Anjappar. Our meal cost us RM 32.09 with tax and service charge. Well….at least now we know. Verdict: I won’t go back there anytime soon.